With a large global structure of $8 billion, the company entered the Samsung conglomerate in 2017, which acquired Harman International. “There is a global infrastructure that allows us to access technologies, partnerships, and suppliers in a truly globalized business environment,” says Harman Brazil Automotive Engineering Director Flavio Sakai. Harman Brazil has been operating in the country for 7 years, since acquiring Selenium, the manufacturer of analog speakers and amplifiers. At the time, the company operated mainly in the field of aftermarket car audio and in the professional sound market of large-sized show business. Before buying Selenium – a company of Rio Grande do Sul state, founded in 1958 – Harman worked in the national market through distributors. “It was an adventure because Selenium operated in the professional audio and aftermarket car audio markets in the automotive assembly plant, and Harman worked in four divisions, which allowed the deployment of two new divisions in Brazil,” said Rodrigo Kniest, Harman Brazil CEO. Today the company has about 150 employees, distributed in its three factories – two in Manaus/AM and one in Nova Santa Rita/RS – and the São Paulo office, to serve the entire Latin American market. “After 7 years, Harman Brazil revenue simply multiplied sixfold and continues to grow efficiently,” says Kniest. Harman Brazil is structured in four divisions, the first of Professional Solutions, including speakers, lighting, video and a line of products with state-of-the-art digital technology. This division is responsible for big deals, such as the sale of equipment to eight of the twelve football stadiums that hosted FIFA games in Brazil, comments Kniest. The company was also present at the Rio de Janeiro Olympics, supplying about 75% of all professional audio and lighting equipment for the event. Lifestyle Audio is the second division of the company, producing headphones, Bluetooth speakers, home theaters and an aftermarket car audio line. The company has evolved in the aftermarket car audio market with the introduction of new electronic products that stand for quality such as the JBL® Bluetooth boxes. “We helped Brazil implement wireless technology and today we have about 70% of the domestic market, thanks to the implementation of that JBL® technology in the country,” says Kniest. This division also includes the Car Audio OEM system, with the supply of speakers and amplifiers for the automakers. The third division is the Connected Car, providing all the features and connectivity through the Head Unit Intelligent Multimedia for automakers. The novelty is the latest division, Connected Services, focused on the production of software for customers in the automotive market, telecommunications, healthcare and large institutions. 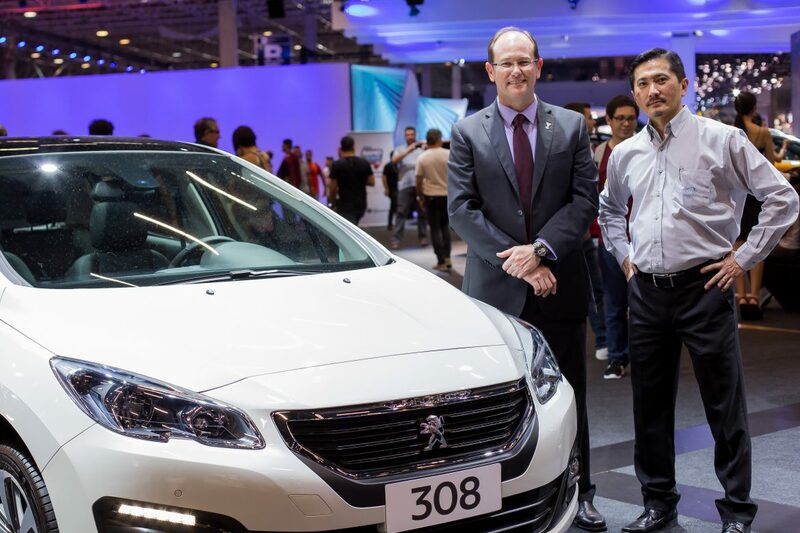 According to Sakai, the Connected Car aims to integrate even more the smartphone into the vehicle so that the driver does not need to handle the smartphone while driving. “The goal is to provide connectivity with security by integrating the smartphone into the vehicle through the speaker system so that the driver can communicate and access all the functions of the smartphone,” Sakai explains. Based on the technology, the company has two directions: invest in high-tech products that will allow connectivity, and in the production of software to ensure this connectivity. 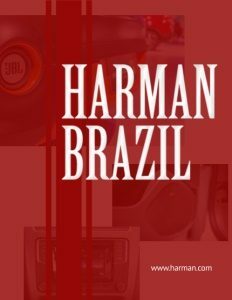 “Harman Brazil is focused on delivering technologies and services to the consumer through the automotive automakers and B2B partners, which in turn choose a complete or partial solution in line with their strategies,” explains Sakai. Harman Brazil also seeks to integrate its four divisions. “It’s hard to find an automotive company like Harman with branches in other industries,” says Kniest. The company is present both in Rock in Rio as in Rio de Janeiro Carnival, in the high-performance sports headphone, and in a variety of solutions that can also be combined. As a result, Harman’s automotive supplier has a wider scope of business possibilities. “Harman develops products to meet different needs related to the different lifestyles of each user,” says Kniest. In this sense, the company has products for the sports-loving people, such as headphones, Bluetooth boxes, and solutions for cars in the automaker or in the aftermarket. Likewise, there are products and solutions aimed at the audiophile audience, which requires superior sound quality. Thus, Harman Brazil develops differentiated products and services for smartphones, office, and car through well-known brands such as JBL® and AKG®, among others. Such flexibility of products and services is the result of the dedication of a highly specialized team. “Our team is composed of a diversity of professionals passionate about music, audio, technology and the automotive industry, working in a collaborative environment with high synergy,” says Kniest. By integrating a multinational structure, Harman Brazil has personal performance assessment tools, which provides a cycle of career enhancements for its employees. Certified in accordance with ISO 9001 and ISO 14000, the company implements solutions seeking sustainability through structured quality systems, where the environmental issue is always present. “We are involved in several initiatives with the local community and the Harman Brazil Employees’ Association”, reports Kniest. Aware of its social responsibility, the company participates in the Pescar Project, creating opportunities for vulnerable young people by poverty to know the company, to have their first internship, with the possibility of future employment. In the area of ​​marketing, Harman Brazil uses different strategies depending on the product and the service. “Social media plays a major role in this regard since users and celebrities spontaneously recommend our products and services,” notes Kniest. The company also leverages its presence in social and vertical networks identified with users of its products and services. 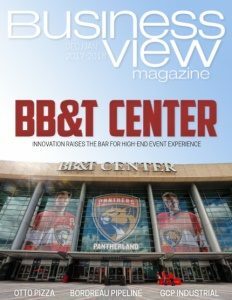 “We have many B2B operations in the automotive industry, where we work with the automakers to increase sales,” says Kniest. In addition, the company invests in marketing strategies designed for retail, always seeking to enhance the brand value linked to a lifestyle. In the automotive industry itself, Harman Brazil prioritizes the brands’ consolidation associated with specific density standards. Some automakers work with the company’s brands on the audio system and each brand has its own style and marketing strategy. “We work with the automakers to promote the brand, adjusting the brand image to the vehicle image, adding value to the automaker and enabling a better sales performance with the final customer,” says Kniest. Unlike competitors, Harman is considered a Brand House. “We have JBL®, with a strong presence in the market among young people; Harman Kardon®, with a more refined and elegant aesthetic design for sophisticated clients; the AKG®, of Austrian origin, strongly linked to musicians, among several other brands,” exemplifies Kniest. Each group has a line of products and services differentiated according to its lifestyle, which greatly values ​​the brand with automakers according to its marketing strategy. “We are one of the few companies in the world that offer different brands to different groups,” says Kniest. With increasing revenue, growing steadily, and with three of the four divisions accounting for one-third of revenue from the operation of Harman Brazil, the future prospects are the best possible. Over the next five years, the company plans to invest in the ​​Connected Service area, with complete or partial software and application solutions. “We are structuring the company to develop the Connected Service, confident that this will also enhance the other three divisions,” notes Kniest. The company invests in micro service as a vertical with the best future growth potential and keeps investments in the three oldest divisions designed to serve the Brazilian market. With solid work in the automotive audio industry, the Connected Car division is on a high level of consolidation with the customers. On the other hand, the Connected Services will provide services and applications to a larger clientele, anytime and anywhere. “We believe that 90% of the innovations will be related to the software, to the cloud and to the technologies that we are making available,” says Sakai. Thus, Harman Brazil intends to expand its team, giving an opportunity for new talents interested in software and novelty.